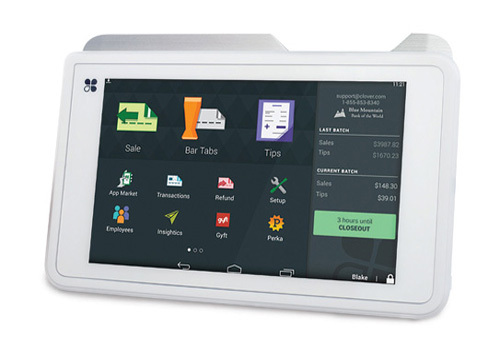 A portable POS that never sits idle. Your office doesn’t do coffee breaks. You don’t sit at a desk all day. Your business is constantly moving. And your customers are too. Clover® Mobile is perfect for food trucks, festivals, pay-at-the-table restaurants or anywhere else where customers are in line or just passing through and in a hurry to get somewhere else. From credit cards to debit cards, EMV chips or NFC payments like Apple Pay, Clover Mobile accepts a full suite of payment types. Clover Mobile is designed for fast, secure and reliable transactions with each swipe, dip or tap. Going mobile means being connected. Clover Mobile is available as Wi-Fi only or Wi-Fi + 3G if you’ve got a data plan.